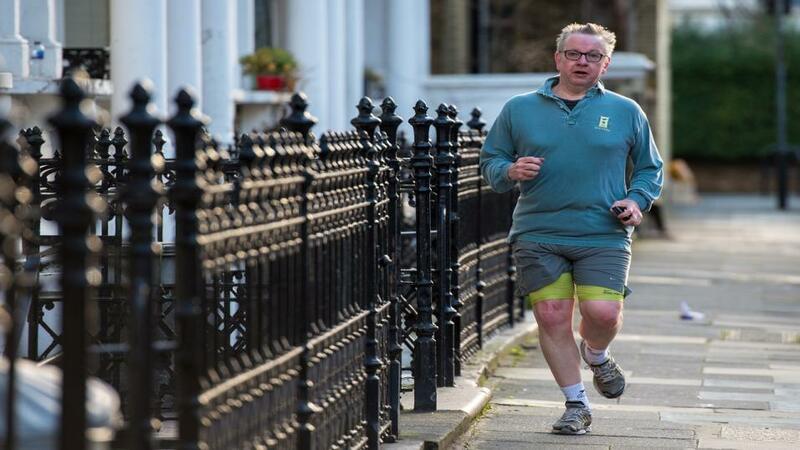 Is Michael Gove in the running to be next Tory leader? "The Conservative party is crying out for a new face to emerge as 16-1 chance David Cameron did in 2005. I'm predicting that face will be Dominic Raab, who will beat Amber Rudd in the run-off." Little wonder perhaps, in light of recent upsets and grassroots uprisings, but this is markedly different from the historical norm. Usually there is an heir apparent and in the Tories' case, that early favourite has gone onto lose every single time. That dynamic may have already played out, as Boris Johnson traded well below [3.0] on election night but has since drifted to the current [8.4] and beyond. In seeking to reverse that decline with today's much-hyped Brexit speech, the Foreign Secretary has effectively kick-started the leadership contest. Senior Cabinet colleagues will also get to lay out their post-Brexit vision in the coming days and shape debate within the party. While nobody can confidently predict the date of Theresa May's departure, positioning to succeed her is very much underway. When the official contest comes around, there will be probably be roughly a handful involved. In the last four Tory contests dating back to 1997, either four or five candidates were on the first ballot paper. Ditto Labour's two leadership contests in the past 30 years. As in all of those, the task for bettors is to build a value position from which to cash out for profit later by identify the runners - all of whom will almost certainly trade much shorter at time of race. That strategy certainly worked with May - recommended twice at double-figure odds to succeed David Cameron when George Osborne was all the rage. Rule number one is to know the electorate. Party members are never reflective of the average voter and MPs, who get to whittle the field down to two before the members get their say, are not always reflective of grassroots. Therein lies the problem for Boris and the current favourite, Jacob Rees-Mogg. As our market implies, both are very well positioned in polls among Conservative members but are expected to have their work cut out reaching that final run-off with members. MPs are well aware that Mogg's extreme social views could split the party and make them unelectable. Likewise as we saw in their last race, numerous Tory MPs do not regard Johnson as up to the job. Clearly a substantial portion of the parliamentary party will back neither so, in order to reach the final two, either would need to monopolize the 'hard Brexiter' vote. There is no reliable measure of their numbers but 80-100 is a decent estimate - not enough without reaching out across the party. In any case, Eurosceptic Tories have never managed to unite around one leader or speak with one voice. Rivals therefore have plenty of incentive and at current odds, there must be value among the alternatives. This will almost certainly happen before the next election so Tories are in effect choosing the next PM. That strongly favours those currently in senior government positions. Immediately after the election, I felt David Davis was in pole position but with the party now looking to the future rather than for a caretaker, his time has probably passed. Likewise Chancellor Philip Hammond simply doesn't have the grassroots support or charisma. For my money, there are three senior alternatives to Johnson - Amber Rudd, Jeremy Hunt and Michael Gove. Rudd particularly stands out as trading value at [16.0]. The Home Secretary repeatedly appears as the government's face - deputising for May in one of the election debates and on the Sunday morning politics shows. Her decision to hire Lynton Crosby's firm to run her next campaign smacked of leadership ambitions, regardless of denials. She would be fancied to beat Hunt among those centre-right MPs that are broadly happy with the party's platform under Cameron and May. Her fundamental problem, of course, is having voted Remain and being regarded as on the soft Brexit wing. Therefore while reaching the final-two is very plausible, she'll struggle to win the run-off among the strongly pro-Brexit members. Gove has no worries on that front and he's well-placed in second among members. Again, his post-election behaviour looks very much like positioning and support from the Murdoch/Mail press will be invaluable. Where the Environment Secretary's may have trouble is perceived unelectability and distrust amongst colleagues. Lest we forget, Cameron demoted Gove before the 2015 election because of his toxicity with voters and numerous Tory MPs were furious with his antics during their last contest. Nonetheless, he's a heavyweight and fair value at [18.0]. The race will also surely include at least one relative newcomer to frontline politics. At the very least, this is a great opportunity to build a public profile and party base with an eye on future contests. Here, any one of about ten are plausible runners, including Mark Harper, Tom Tugendhat, Sajid Javid and Priti Patel. Earlier, I recommended bets on Dominic Raab and James Cleverly - both of whom fall into this category. Having since been promoted to Housing Minister, the former remains a strong candidate, very much under-rated at odds of [28.0]. Though a longstanding Eurosceptic and on the Right, Raab is nowhere near as defined by Brexit as Rees-Mogg, Johnson or Gove. He already has an impressive base of support within the party despite a relative lack of name recognition and is adept at playing the culture wars that increasingly dominate politics. I expect him to run with an eye on the future and trade a lot shorter. The essential task for the next Tory leader is to make the party look fresh and forward-looking again, rather than a tired, divided government defending past failures. To set out a post-Brexit vision that at least retains Remainers that voted for them last June. The party is crying out for a new face to emerge as 16-1 chance David Cameron did in 2005. I'm predicting that face will be Dominic Raab, who will beat Amber Rudd in the run-off. By backing them and Gove now, I'm very confident of holding a strong position when the race starts for real.